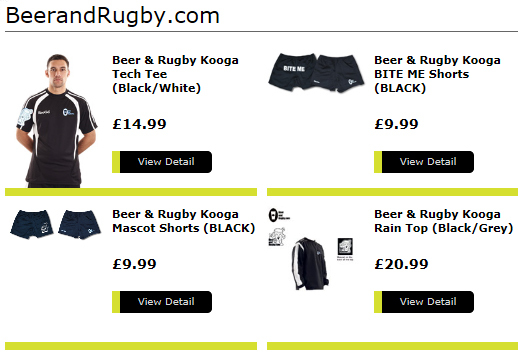 The Rugby Store - BeerandRugby.com "Its What Legends Are Made Of"
The Rugby Store is hosted by Tylers Sportswear who have been supplying rugby clubs, schools, colleges and universities for the past 20 years (and BeerandRugby.com for the last 10 years). So if anything tickles your fancy! Do not fear your order and shipment is in safe hands, just click an item that interests you below to be directed to our online shop.